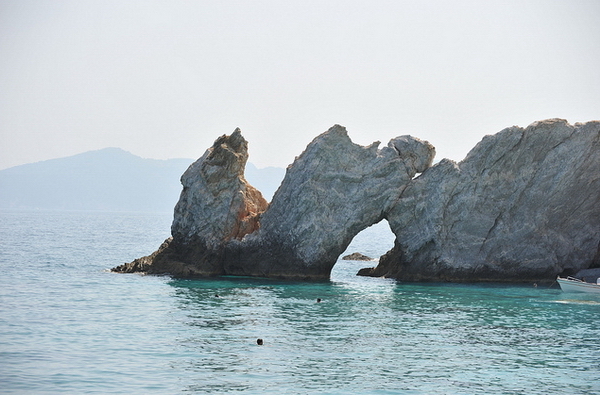 Skiathos is only 46 sq km, but many people choose to return for their holidays year after year for the simple fact that it has amongst the best beaches of the Greek islands, a large variety of taverns, bars and places to stay and the fact that it is absolutely gorgeous. It is a lush, green island with over 60 beaches and depending on where you stay, you can have a quiet, relaxing holiday or a more active one doing excursions, sports and enjoying the nightlife. The locals mainly live off tourism and agriculture. They grow olives, fruit and walnuts and there is both local honey and wine. 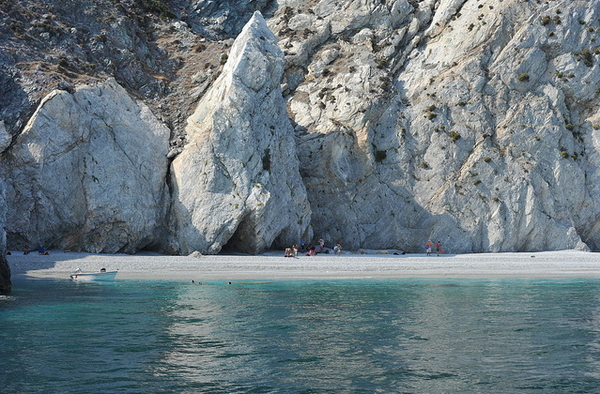 Many of the islanders leave the island in the winter and work on the mainland. The difference between the summer and winter season is very distinct: whereas the population amounts to about 4000 people, in summer it can reach 70000! 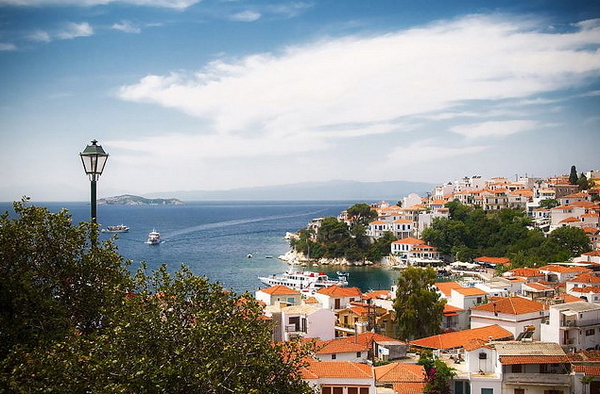 The capital of the island, Skiathos Town, has managed to keep its traditional style even though every summer thousands of visitors flock to enjoy what it has to offer. As you come into the port the first thing you will notice, to the left, are the old shipyards whilst nearby is a large lake which also sees thousands of visitors every summer - this time as a presence of many varieties of birdlife which flock here during there summer migrations.The town of Skiathos has many interesting churches. among the most important is the Cathedral which has many holy relics and icons which come from other churches all over the island and are looked after at the Cathedral. 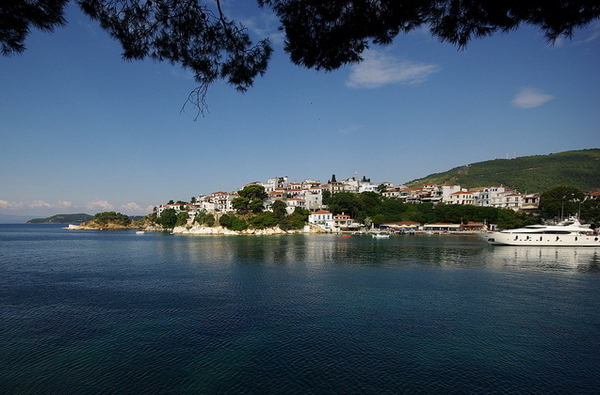 another interesting church to visit in Skiathos town is the Church of Mary of The Lake. Here there is a shrine to Alexandros Papadiamardis the famous writer of Skiathos. 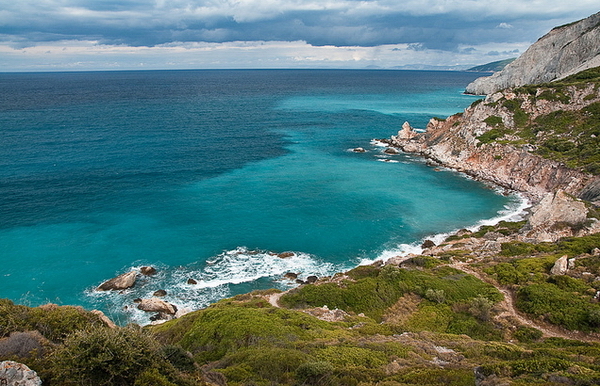 Go as well to the beautiful churches of Agios Fanarios and Agios Nikolas. 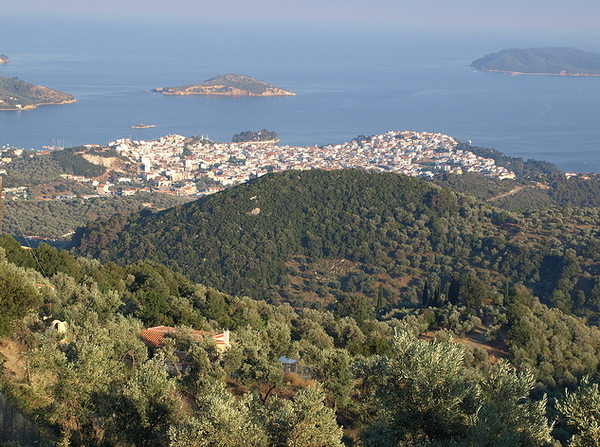 From these two pretty churches you will be able to enjoy amazing views to the castle of Skiathos. 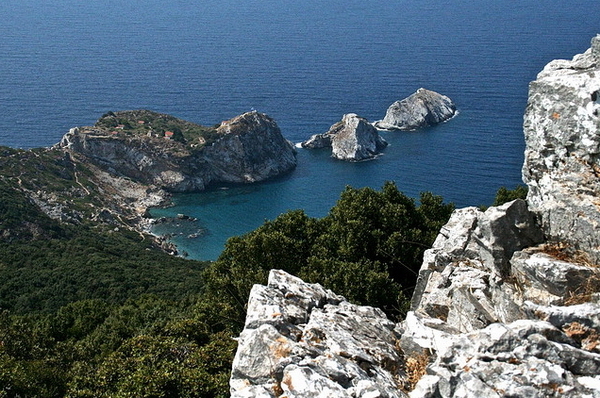 Throughout the history of the island, this castle, like many in the Greek islands, was used by the population of Skiathos as a shelter from raiding pirates or Turks. The castle was also the place where the allies escaped from during the Second World War. 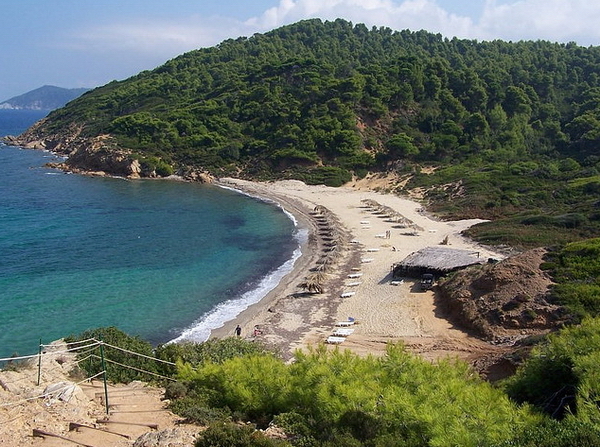 Try to also visit the monasteries of Skiathos which are located close to the capital. among the most important of these is the Monastery of Evangelistria where, during the Greek War of Independence, many Greek fighters sought sanctuary. In the museum and library of this monastery you can see important books and relics of historical and religious importance. 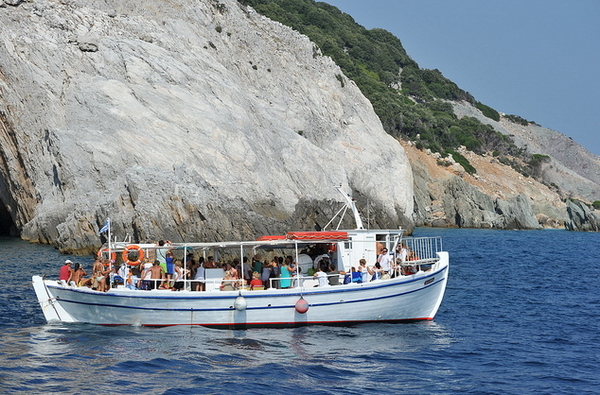 Skiathos is a popular summer resort for British and Scandinavian holidaymakers, but there are also many Italians, Germans, Dutch and Swiss. 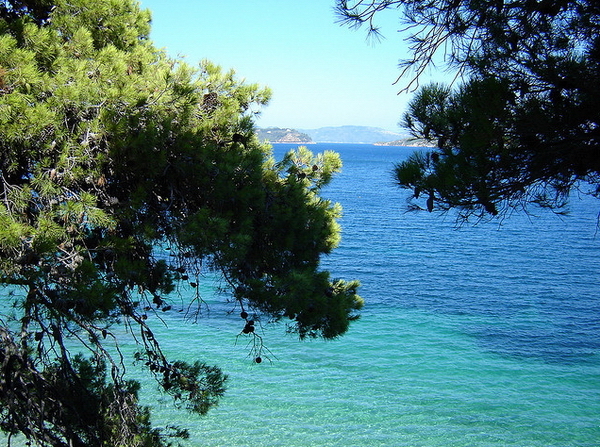 The Greeks also love Skiathos, and they like to see it as a bit of a cosmopolitan island.